Our last event was great. Come back soon as we hope to have something new to share soon. ThreeAward Winning Short films and Conversations coming out of Israel's blossoming film industry. 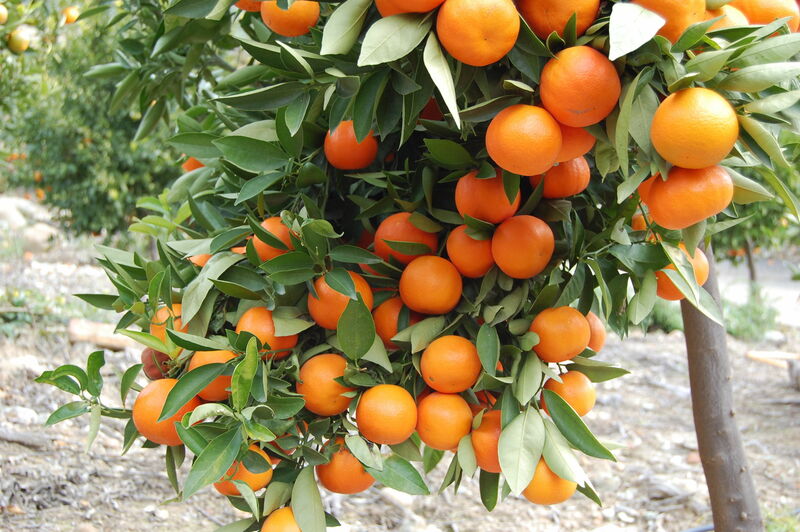 Get a taste of the vibrant voices of Israel through these conversation starting gems. Bus Station: Two women, Arab and Jew meet at a bus stop in Jerusalem after a trip to the market. When their bags of tomatoes get confused they begin to understand the similarities and differences of their worlds. Lost Paradise: A surprising encounter between a man and a woman, a modern-day Adam and Eve. SHNAIM: In the midst of the war in Gaza, a mixed Arab and Jewish Israeli couple debate the question of military service. 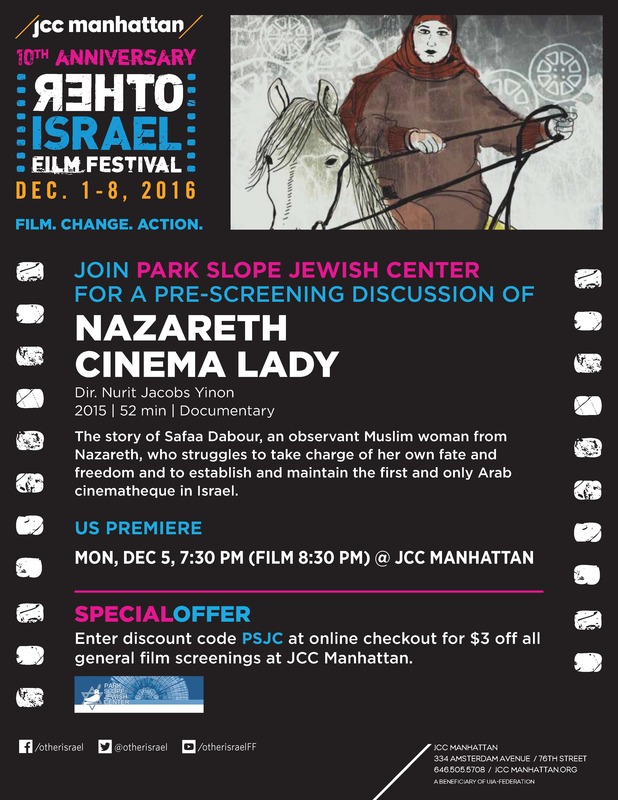 , is sponsoring JCC of ManhattanPSJC, in cooperation with the a three short Israeli films followed by a discussion lead by Isaac Zablocki. Isaac Zablocki is the Director of film programs at the JCC in Manhattan and Director and Co-Founder of ReelAbilities: NY Disabilities Film Festival, the largest disabilities film festival in the country - now in over 15 cities. He attended film school at Columbia University and went on to work at Miramax films. He produced and directed a feature film entitled Reality Lost and developed film educational programs for the Board of Education. Since 2004, Isaac has been developing film programs at the JCC including The Israel Film Center. Beyond ReelAbilities, he programs multiple film festivals annually including the acclaimed Other Israel Film Festival about Arab and minority populations in Israel. As Director of the Israel Film Center, he is the leading programmer of Israeli films in the U.S. and developed the largest on-line database of Israeli films as well as Israel Film Center Stream, the leading site for streaming Israeli films. Isaac lectures around the world in major institutions on a variety of topics from New Israeli Cinema, Hollywood and the Holocaust, to The Power of Film for Social Change. RSVP requested for the Israeli Shorts! We look forward to viewing the Israeli Short Films with you. Please let us know the name of anyone else who you plan to have join you. The Israel Committee continues to bring quality programming to PSJC. Please support these efforts. Please note that we charge a 3% convenience fee. Choose to add the donation to your account, you must be logged in to your account and then choose the pay later via the drop down menu. If you choose the pay later you must send in a check payable to Park Slope Jewish Center at 1320 8th Avenue, Brooklyn, NY 11215. Your reservation will not be confirmed until payment is received in the PSJC offices. If you have any questions regarding creating your PSJC/Shulcloud account please email Sarah Guthartz, Executive Director at sarah.guthartz@psjc.org.